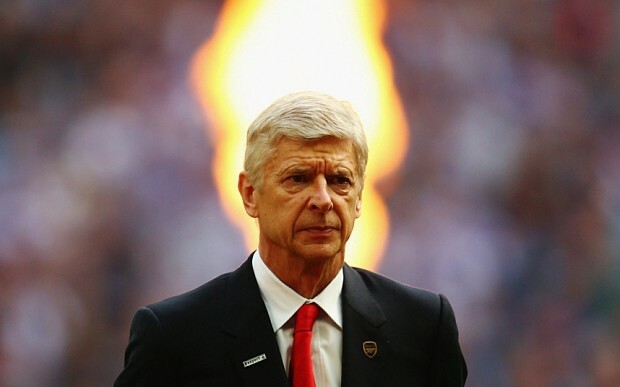 Will Wenger reign in what could be his last season? Approaching 20 years in charge at Arsenal, the upcoming season represents perhaps Arsene Wenger's most important. Should he call time in May to a wonderful managerial career with the North London club, he will go down as their most successful manager to date. However, as Manchester United experienced long after the retirement of Sir Alex Ferguson, questions will remain as to the state of the club in the post-Wenger era. In June 2013, Ivan Gazidis told a room full of journalists, "we can compete with any club in the world". A statement of intent that Arsenal could match the biggest clubs in world football - both on and off the pitch. Since then, the club has signed Mesut Ozil, Alexis Sanchez, and this summer, Granit Xhaka, for the three highest fees in Arsenal's 130-year history. Although the signings have certainly hinted at the club's ever-growing spending power, with approximately £160million in the bank, the Gunners simply cannot afford to let the signing of a world-class player become a yearly occasion. As with recent transfer windows, there is an air of resignation among Arsenal fans that this summer will be another missed opportunity to compete with league rivals (who are seemingly trying to outspend each other) and to plug the remaining gaps in our squad, which were horribly exposed last season. At £35million, Granit Xhaka is a superb addition to the squad. The midfielder gained the plaudits this summer, having guided Switzerland to the last 16 of Euro 2016. With the ability to pass the ball between the lines, Xhaka will be vital in sharing the burden on Ozil and Cazorla of driving the team forward. The Swiss star also adds some much-needed steel to the side. With injuries to Per Mertesacker and Gabriel in pre-season, the need to bring in an experienced defender to partner Laurent Koscielny has never been more apparent. Whilst Rob Holding has been drafted in from Bolton, it would be premature to expect the young defender to dominate the Premier League. Moreso, Calum Chambers, who could do with a season-long loan and the opportunity to play regularly. Having been strongly linked to Shkodran Mustafi, the German would be exactly the type of defender that Arsenal need to replace Per Mertesacker. Another area that Arsenal need to make changes in is attack. With the majority of goals last season coming from Olivier Giroud, who himself had a 19-game goalless run, and Alexis, who has run himself into the ground for the past two seasons, it is painfully apparent that Arsenal need more goalscorers. Add to this Mesut Ozil creating more goal-scoring chances than any player in the Premier League last season and it's evident the team is crying out for a clinical striker. With a failed first bid for Lyon's Alexandre Lacazette, it remains to be seen whether the club will move for the striker but following Arsenal's pursuit of both him and Jamie Vardy, it appears that the club are keen to address this issue. This season presents many opportunities for Arsene Wenger: to strengthen the team; cement his legacy; and ensure that Arsenal can compete with Europe's elite. However, if this summer window sees no further investment in the squad, there is a very real risk that both Arsene Wenger and Arsenal Football Club will be left behind by the Premier League's big spenders. Let's hope that for the sake of his and the club's future, he can get it right. Good article. Looks like we're signing Mustafi. C'mon AW, get it done!!! Where Will Arsenal Finish in the Premier League? ©1886blog. Unauthorized use and/or duplication of this material without express and written permission from this blog’s author and/or owner is strictly prohibited. Excerpts and links may be used, provided that full and clear credit is given to 1886blog with appropriate and specific direction to the original content. Blog designed by 1886 and Kais al Kaissi.. Awesome Inc. theme. Powered by Blogger.